SEOUL, Oct. 22 (Yonhap) — South Korea and the United States signed a deal Monday to extend a bilateral student exchange program by five years. 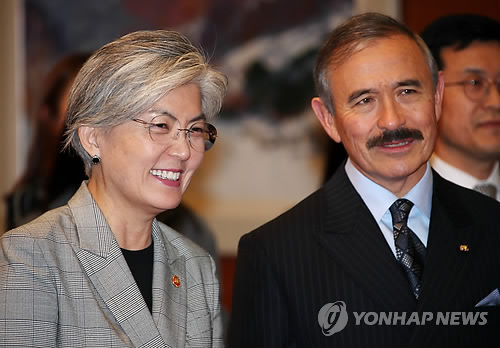 Foreign Minister Kang Kyung-wha and Washington’s Ambassador to Seoul Harry Harris inked the memorandum of understanding on the Work, English Study and Travel (WEST) program, according to Kang’s ministry. Launched in 2008, the WEST provides South Korean college students and young professionals with opportunities to travel to the U.S., learn English and work there for 18 months. Around 3,500 South Koreans benefited from the program over the past decade. Kang described it as a token of longstanding friendship between the allies. Harris agreed that it offers a chance for young South Koreans to serve as civilian ambassadors to help build mutual trust. American college students have similar opportunities in South Korea via the Working Holiday Program.